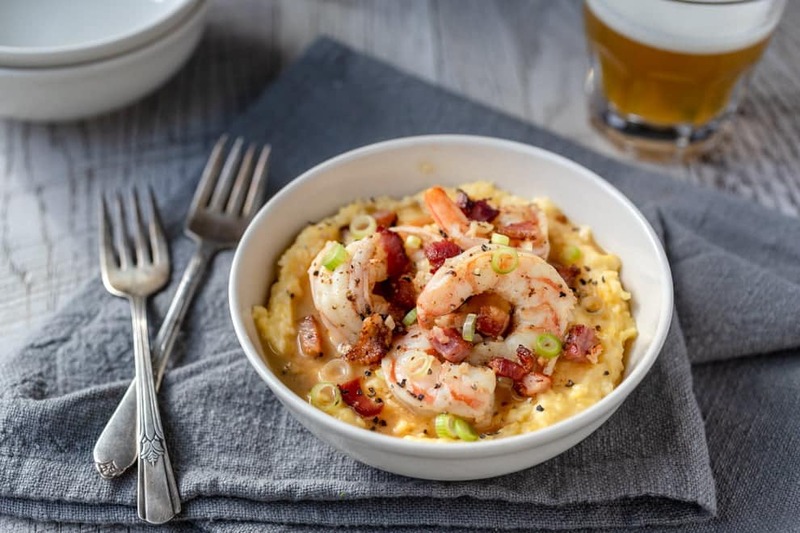 Shrimp and Grits may be a Southern dish, but y’all should know how to make it. Succulent shrimp top perfectly cooked and creamy grits. If you asked me to name my favorite shrimp dish, I would most likely say shrimp and grits. 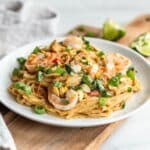 This signature Southern dish that originated along the coastal regions of the South is loaded with flavor and so easy to put together. It starts with a creamy, cheesy base of Southern-style grits. 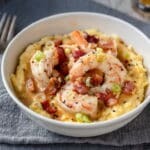 If you haven’t made grits before, head over to the How to Make Grits post for tips and tricks to make a perfect pot of grits. 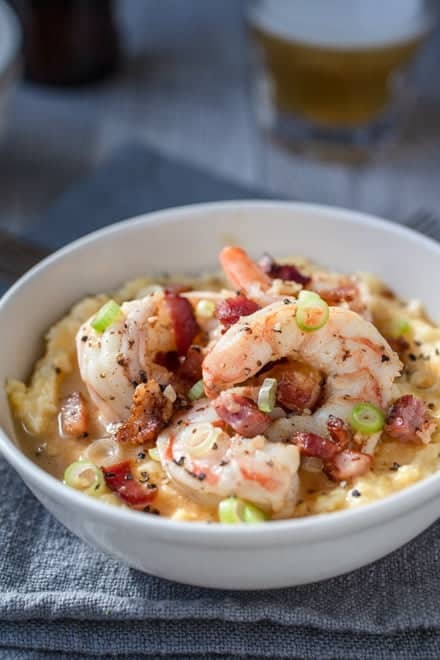 The silky grits are topped with shrimp that has been sautéed in bacon fat along with some garlic and then quickly braised in a zesty, buttery sauce. A sprinkling of crisp bacon and green onions makes this dish delectable! My stomach is growling just thinking about it. I like to use stone-ground grits because it produces a wonderful texture and nutty flavor. If you aren’t able to find a stone-ground variety, opt for coarse-ground cornmeal. Sharp Cheddar cheese is the stir-in of my choice. The flavor pairs perfectly with the texture of the grits and the zestiness of the sauce. 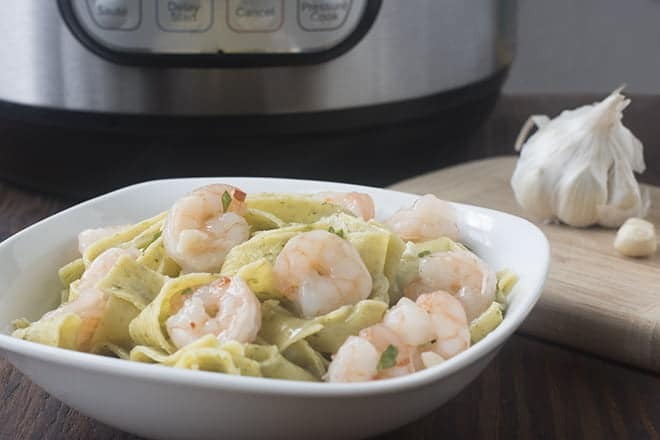 Medium or large shrimp are a must for this recipe. No wimpy shrimp, please. 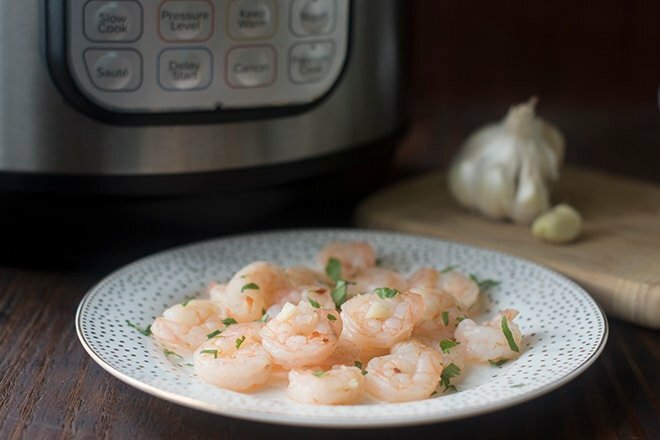 I buy peeled and deveined shrimp for this recipe which makes this dish come together pretty quickly. My preference for bacon is an applewood smoked bacon. I think the smokiness just adds another layer of flavor. No applewood smoked bacon, no problem. Choose your favorite bacon. But let’s just be clear – don’t skip the bacon. 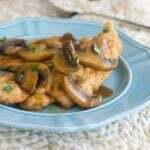 Now, I hope that I have inspired you to try your hand at this delectable Southern comfort food. 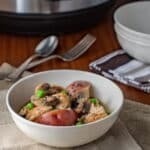 And whether you choose to serve it on the weekend for breakfast, like they do in the South, or an easy weeknight meal, I hope it becomes a recipe you and your family enjoy often. In a medium-sized heavy saucepan add the water, milk, salt. Bring to a boil. Gradually add in the grits while whisking. Continue whisking for 30 seconds to reduce clumping and creates silky, smooth grits. Bring the grits back to a boil, cover and reduce the heat to low. Cook for 20 – 25 minutes or until the grits are tender. Stir in the butter and then cheese. Keep warm. 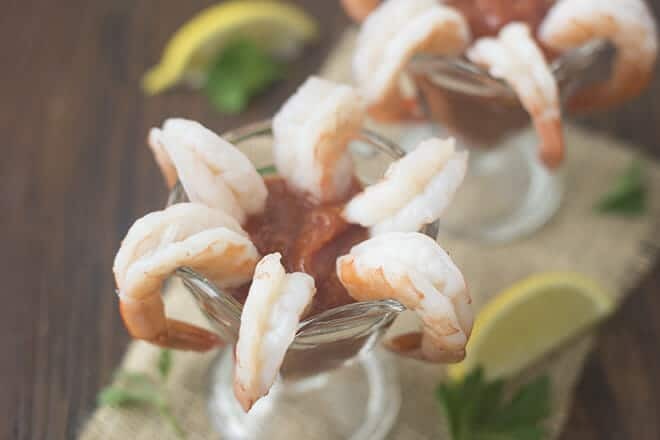 Place shrimp in a medium glass bowl. Season with the salt, Old Bay seasoning, and pepper. Set aside. Meanwhile, heat a large skillet over medium heat add bacon and cook until crispy, about 10 minutes. Transfer the bacon to a paper towel-lined plate to drain before chopping into small pieces. Reserve 2 tablespoons cooking fat in the skillet. 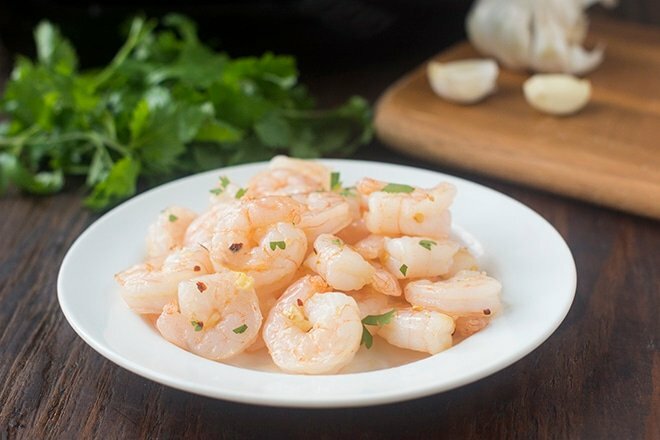 Add the shrimp and garlic and cook until garlic becomes fragrant. Stir in broth and lemon juice. Simmer until the shrimp is cooked through, about 3 minutes. Divide the grits into 4 bowls and top with the shrimp and sauce. Sprinkle with bacon and scallions.